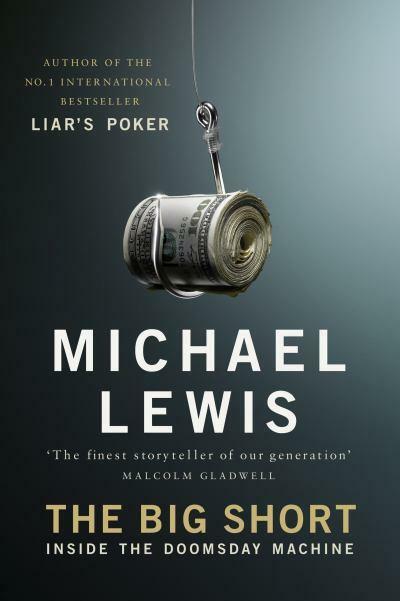 The new semester is underway and I’m teaching an honors course: “Consumerism, Politics and Values.” We start with the book The Big Short by Michael Lewis, describing the housing bubble and derivative market mania that caused the collapse of the economy in 2008. The housing bubble and subsequent crisis was created by the big banks who were able to pull off the equivalent of a high stakes ponzi scheme and get away with it. Alan Greenspan, onetime devotee of Ayn Rand, even admitted that events had proven his “markets get it right” philosophy wrong. Markets don’t always get it right; unregulated, markets can create calamities. We shouldn’t forget what happened. Back in 2000 we entered a recession thanks to the puncturing of the dot.com bubble. It had been a classic bubble and when the bubble burst the economy went into a needed recession to balance out the excesses of the late 90s. Then on 9-11-01 al qaeda attacked the US with a devastating blow to the American economy. The blow wasn’t a direct result of the terrorist attack, but an indirect one – the federal reserve decided to offer extremely cheap credit to help pull us out of the recession. That turned out to be poison. That is the one area where the government shares the blame – bad monetary policy. But that alone could not have created this crisis. The housing bubble was also not a sub-prime lending problem, nor one related to Fannie Mae and Freddie Mac. They had their faults, some extreme, but nothing they did could have caused the economic collapse. What happened can best be viewed by considering risk and incentives. 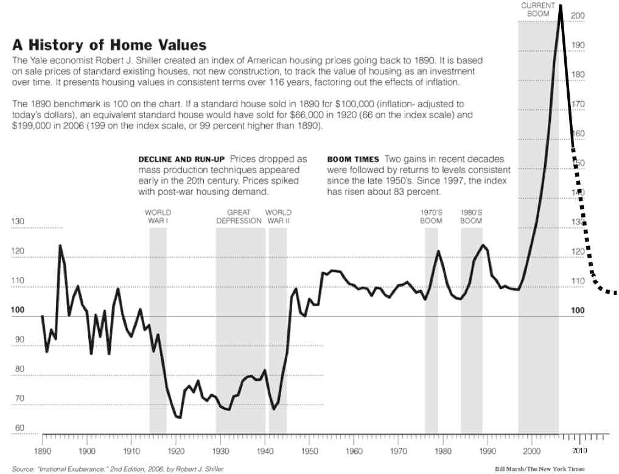 It doesn’t take a genius – this is adjusted for inflation home prices since 1890 – look at the insane bubble after 2002! Risk: Between 2002 and 2005 virtually all risk was removed from the mortgage market – or so it seemed. Banks and mortgage brokers knew they’d sell their mortgages to one of the big Wall Street banks. That meant they had no risk – so every home loan was a win for them, regardless of whether the lender could pay it back. The banks then took the mortgages and turned them into mortgage backed derivative bonds which they sold, pushing the risk to the investors. These bonds received a AAA rating from the rating agencies, meaning they were viewed as the safest form of investments. 98% of mortgages get repaid. Investors gobbled them up, thinking they were essentially risk free. There was, it seemed, no risk! Incentives: Mortgage brokers thus had incentive to cheat – to make loans they knew couldn’t be repaid. This started the housing market booming. As prices went up, banks, brokers and buyers had incentive to create risky mortgage instruments. Since value was going up so fast, it appeared that if you could buy a house at $100,000, it would be worth as much as $150,000 in two years. So if you couldn’t afford a standard mortgage, you could buy one with artificially low payments for two years. At that time the house would be worth more, you could refinance at a standard rate and take out a home equity loan for easy money. Everyone wins! Meanwhile, the banks gobble up more and more mortgages as they are making massive amounts of money – hundreds of trillions of dollars in mortgage backed derivatives! As with any bubble, everyone thinks all is great until it pops. Housing prices started to drop in early 2007. The first pain was in the worst loans, the subprime market. No one panicked – that market wasn’t big enough to cause a crisis. 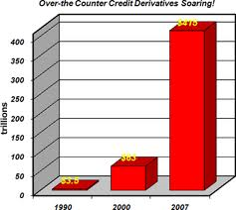 Little did people realize that the entire derivative bond market, even bonds with the best loans, were toxic. Soon prices started to drop. Thanks to the people at CNBC and the other business “reporting” networks, people had the belief that real estate prices might level off, but wouldn’t go down. While some like Peter Schiff had been warning people, most of the media were predicting real estate price growth as late as 2007. People simply didn’t believe the party was ending. Many people were directly affected. People who had adjustable mortgages planning to refi with a higher value ended up bankrupt. People who bought the AAA ranked derivative bonds ended up losing their entire investments. This included groups like fire departments and school systems which thought a AAA bond was no-risk. People who had been doing real estate speculation thanks to the rising prices went from being nouveau riche to old fashioned poor. Those who simply bought houses at record high prices ended up under water – they often owe tens or even hundreds of thousands of dollars more than their homes are worth. Of course, this all lead to massive loses on Wall Street and an economic downturn that is still with us today. People totally outside the housing market lost their jobs or their investments when the economy tanked. The ones who suffered the most were the poor. The wealthy can take a hit on their portfolio and still enjoy nice homes and an easy life style, after all. Yet the ones who did this – the ones who created the derivative bonds and then worked to disguise or avoid risk, taking massive short term profits even knowing that in the long run everything could collapse – they’re doing well. No one had to repay their bonuses or their income from the bubble years. Most simply found new work. Sure, Bear Stearns, Lehmann Brothers, and a number of other banks went under. Yet the people working there found other work. Some probably ended up with a dramatic downsize in lifestyle, but prison time or actual penalties? Nah, they were just doing business. Many people are still livid about the lack of accountability, but that’s the its always been. The wealthy have power and clout, and can usually avoid accountability, especially if they’re in the financial sector. In this case both Democrats and Republicans accepted the free market mantra and refused even modest regulation. Yet tighter regulation might have avoided the collapse and we’d be at 5% unemployment now. It’s also proof – absolute proof – that the ideology that the market is always best is dead wrong. It is just as wrong as the Communist belief that a state run economy is more fair. Ideologies delude more than enlighten. Reality is messy, ambiguous and paradoxical. 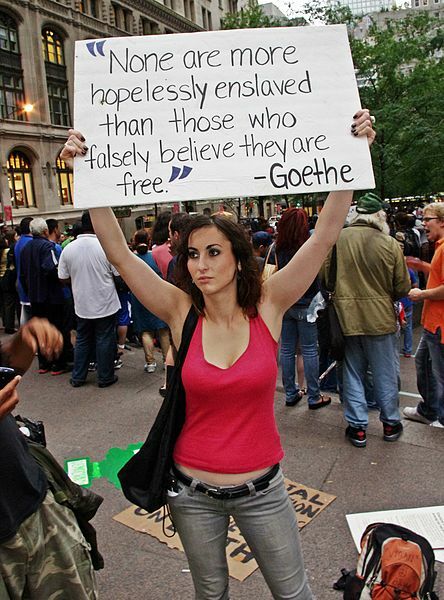 People enslaved by simplistic ideological beliefs tend to interpret reality in a way that suits their beliefs and avoid cognitive dissonance at all costs. We need accountability, rule of law, and transparency — especially in the market. So now six years from the collapse we’re still reeling, trying to correct imbalances that could have been avoided. The people who created the mess and made huge profits off the bubble got away with it. It’s all so pointless. We will never convince the majority of people to embrace liberty, instead of looking to government to be Mommy. At least not until government fails so badly that its incompetence is made clearly manifest. And even if that happens, I suspect that the majority of the electorate will look for a man on a white horse, rather than freedom, and the responsibility for their own lives. There’ll always be a cohort that thinks government could do everything for everyone if only the right people were running it. And, it seems, quite a lot of people will listen to them. Arguing with progressives is pointless, too. It’s like arguing with people in a movie theater who won’t stop texting. It’s a waste of time to say anything to them, because if they had a shred of civility or decency, they wouldn’t be doing it in the first place. If you’re a Progressive, I just assume at this point that you’re too abysmally stupid to waste time with on reason or debate. There are some breathtaking assertions there. Progressives are abysmally stupid, don’t use reason, have no shred of civility or decency…all because they have a progressive political perspective. That means, according to this blogger, that progressives refuse to embrace liberty, want government to be mommy, and don’t want to take responsibility for their own lives. Wow. If people on the right or libertarian side of the isle really believe that about progressives, no wonder they hate us so! Any one who knows me or reads my blog knows that I am a firm believer of people taking responsibility for their lives and choices – students hear that mantra from me all the time – your future is up to you, you can’t blame anyone else. I’m also for liberty – human liberation from all forms of oppression so we can live as freely as possible – as my primary value. My biggest critique of government programs is that they can create a psychology of dependency which harms those receiving that aid. I don’t think the answer is to cut people off – often when children are involved that would be cruel. But rather right and left should create more effective social welfare programs which are built around community action. Community organizers should be the hub, and those who can should contribute to building community in order to get aid. I daresay I’m not abysmally stupid either. Yet I’d describe myself as a progressive. Why are we at a point in this country where the political sides can believe such caricatured images of the other side? I have no doubt that the poster, while perhaps recognizing that he is being a bit over the top and venting, truly believes that progressives oppose freedom and want the government to do everything. And its not just progressives who get caricatured, the right is often portrayed as heartless, emotion driven nationalists who don’t care about the destruction caused by war, who would love to see the poor suffer, don’t care about pollution in our rivers, or the potential damage caused by global warming. They just want what they can get, selfishly consuming with no regard for others. I know lots of conservatives, and that caricature doesn’t fit any of them. But how to get past this kind of rhetoric? One way is to think of the concept of freedom. I submit that both right and left generally have freedom as a primary value. Neither has it as the only value, otherwise they’d oppose all laws. For each having a stable and effective community is also important. So perhaps part of the difference is how they draw that line. 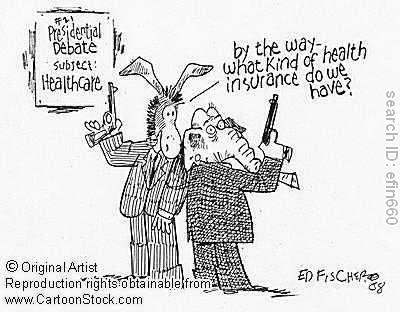 Both might agree that a police force is necessary to maintain order, but they might disagree on health care. 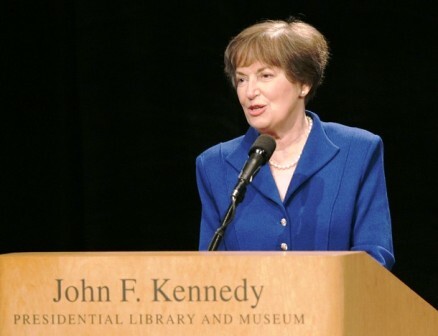 From the left: not having health care denies the poor (nearly 50 million) true freedom because they are more likely to avoid seeking health care and may die or suffer, they are vulnerable to health cost bankruptcies, and their children are less likely to receive quality care, and thus do not have equal opportunity. Universal health care enhances freedom. From the right: having guaranteed health care denies the wealthier true freedom by taking their tax dollars, and mandatory insurance does not allow them to opt out. Universal health care harms freedom. OK, you know what – there are ways to understand where both sides are coming from. 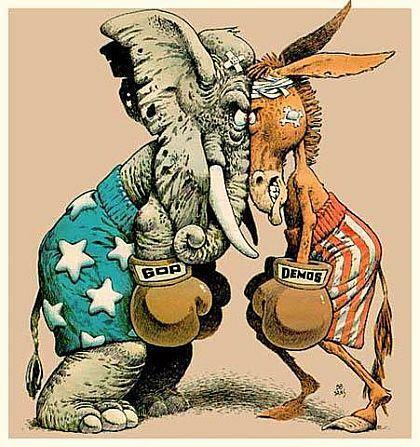 Yet the two sides usually shout at each other (I think the right shouts and ridicules the left far more than the reverse, but I understand that could be a biased perception) and don’t stop to think that their disagreement is not about core values, but how the system functions. The left tends to view freedom in two ways: 1) negative freedom or freedom from external; and 2) positive freedom, or the possession of the resources and power to fulfill ones goals. Poverty, lack of education, lack of health care, structural barriers hindering the capacity to achieve ones goals (racism, etc.) all limit freedom. Often these limits come from the way society is structured, whereby the wealthy elite achieve more positive freedom at the expense of the poor and disadvantaged. 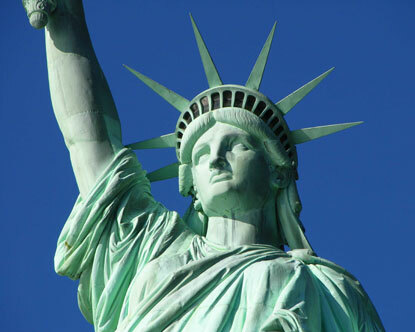 The right tends to view liberty as simply not being hindered by laws or external restraint. Maximum freedom is when external constraint is non-existent. Because people are not angels, you have to have some laws to prevent overt exploitation, but while the left sees structural exploitation as the problem, the right (or libertarians) tend to focus purely on actual physical violence. The religious right also sees a role for laws to protect basic traditions and customs. Again, there are solid arguments for each. The right has an agent-based view of human relations – society is the result of individual choices that each actor is responsible for. The left has a structure-based view: society is structured in a way that empowers some and disadvantages others. The fact is that neither extreme view can be correct. No one can deny that structure matters – it takes a lot more effort to make it out of rural poverty or a ghetto to be successful than it does from a wealthy suburban family. Even though its possible for both, one is more likely to be successful than the other. But it is possible for both – structure doesn’t determine everything, one can make choices to rise from poverty to become successful. So reality is somewhere in the middle – and that means that disagreements on the nature of freedom are legitimate, one doesn’t have to dismiss the other side as opposing liberty. It’s too bad that as a society we’re more likely to ridicule the other side and caricature them than actually discuss these issues. Because frankly, the US is facing numerous problems and neither side has the power to simply implement their “solution.” We either sink or swim together. Right now 30 countries are meeting in Geneva, Switzerland to talk about the future of Syria. It’s dubbed Geneva II, as it seeks to find a way to implement the path towards an end to the Syrian civil war and transfer of power outlined in the Geneva Communique of June 30, 2012. The impetus for this meeting came from increased Russian and American cooperation about Syria after the historic agreement to force Syria to give up its chemical weapons, one of the major victories of Obama’s foreign policy. 100,000 have been killed in fighting that has lasted almost three years. 9.5 million people have been displaced within Syria, a country of just under 23 million. The Syrian government and main opposition parties are taking part in the talks, though the rebels doing the fighting so far refuse. The war is unique. First, it appears deadlocked, neither side has a true upper hand. The government has some nominal advantages, but the rebels are strong enough to resist. Second, the opposition forces are themselves splintered, with extremists alongside secular forces and no obvious alternative to Assad. It’s not clear what a democratic election could yield, many fear that the winner might be friendly to al qaeda. In that context, UN Secretary General Ban Ki Moon invited Iran to join the talks. It was hoped that the Iranians might help bring some realism to the Syrian governments stubborn refusal to hand over power. In the politics of the Mideast, one of the most important and troubling alliances has been that of Iran and Syria. On paper they look like they should be rivals. Syria is majority Sunni Muslim led by a former Baath party (now renamed the National Progressive Front). The Baath party is a secular Arab socialist party, originally was aligned with the Soviets in the Cold War. Saddam Hussein’s ruling party in Iraq was a Baath party. Meanwhile Iran’s Islamic fundamentalist government is completely opposed to Baath party ideology. So why are the two so closely allied? Although 74% of Syria’s 23 million people are Sunni Muslim, they do have a sizable Shi’ite minority. This includes the Assad family, which is Alawite Shi’ite. That’s a different Shi’ite sect than the leaders of Iran, but it’s a connection. Still, up until 1979 Syria’s biggest ally was Egypt – indeed, the two countries merged from 1958 to 1961. But once Egypt made amends with Israel, and Iraq’s regional ambitions grew, Syria forged an alliance with post-Revolutionary Iran. The Syrians feared Saddam’s regional ambitions and were loathe to make peace with Israel, which still held a part of Syria, the Golan Heights. 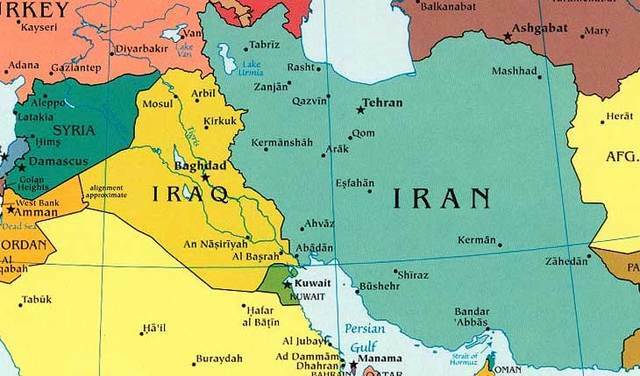 During the Iraq-Iran war from 1980 to 1988 Syria sided with Iran, earning the ire of the Saudis who supported Saddam Hussein. The Syrians and Saudis found themselves on the same side after Iraq invaded Kuwait; both participated in President Bush’s coalition to remove Iraq from Kuwait in 1991. Meanwhile, Syria’s proximity to Lebanon made it possible for Iran to build up Hezbollah, the Lebanese terror organization, pressuring Israel and contributing to Lebanon’s disintegration. Bashir Assad follows in his father’s footsteps of brutality against his own people. 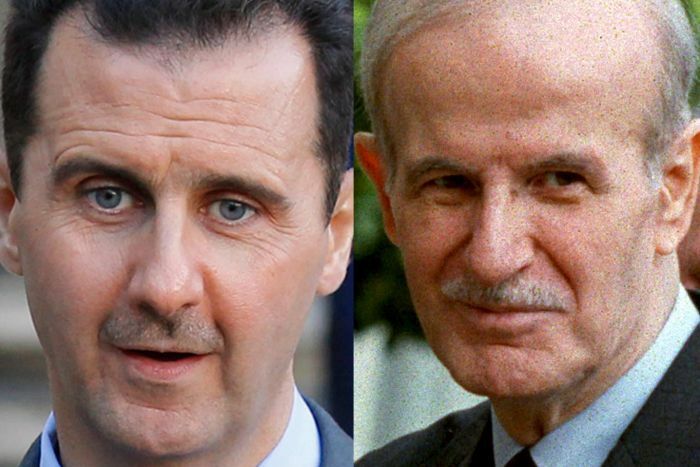 Bashir Assad took over leadership in Syria when his father Hafez Assad died in 2000 and the Syrian-Iranian alliance deepened. When it was done the US was the net loser, while Iran and Iraq became moderate allies – something which drew Syria even closer to Iran. Going into 2011 the Assad regime looked stable and effective. Then came the Arab Spring. Mubarak resigned in Egypt, NATO assisted the rebels in Libya, but in Syria the uprising led to a drawn out and bloody civil war, full of complexities. Early on, with Russia and Iran both siding with Syria, international pressure was limited. After the landmark agreement between the Russians and Americans, the tide seemed to be swinging against Assad. Inviting Iran to the talks was a masterstroke. The Iranians, who recently agreed on a plan to limit and allow oversight to their nuclear energy program, could be further drawn into the diplomacy of the region. In realist terms, they could be brought to become a status quo power rather than a revolutionary one, learning that there is more to gain by working with the international community than being a pariah. In so doing, it was hoped that Iran could help the Syrian government find a way to give up power gracefully. Iran would be there as Syria’s ally, and could aid the negotiations. Alas, it is not to be. The US criticized the Secretary General, arguing that Iran should not be there unless it agrees in advance that Syria’s government must step down. That, of course, could not be Iran’s position going into the talks; it’s certainly not the Syrian government’s position! The reality is that there is so much anti-Iranian bile within the US government and Congress that any sop to Iran would lead to a backlash that could harm the nuclear energy agreement, or induce votes for more sanctions against Iran. As it is, the removal of sanctions in exchange for that agreement is yielding billions of dollars of new Iranian trade with the West. Still, Iranophobia runs deep in the US and Israel. Moon had no choice but adhere to the wishes of the US; the Secretary General is not as powerful as permanent members of the UN Security Council. In so doing, the job of creating a peaceful transfer of power in Syria has become more difficult. It would not have been easy if Iran were there, but Iranian participation created new options. Moreover, Iran’s public is increasingly opposed to their hard line rulers, and increased trade will bring Iran closer to the West. Right now there is a chance for a game changer in western relations with Iran, one that could save lives in Syria. It appears, sadly, that too many in the US are far too comfortable with the image of Iran as a permanent enemy. 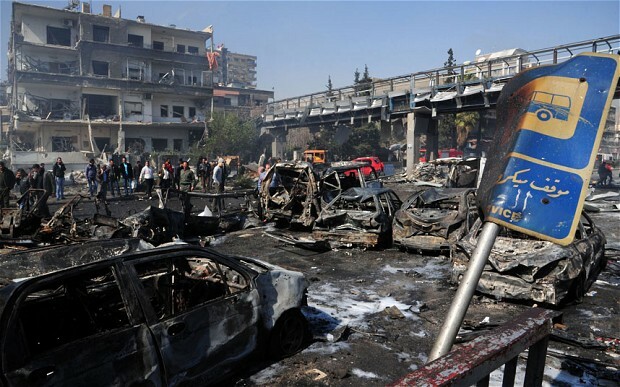 And the Syrian civil war drags on, with the extremists growing stronger as the fighting continues. If you’re on Facebook you’ve no doubt read the posts about how cold it is. When a reporter in Bangor threw a cup of hot coffee in the air it crystallized and blew away. Another in Minneapolis did the same with a pot of boiling water! It’s not just the cold. Having grown up in South Dakota and lived a long time in Minnesota, I’m no stranger to minus 35 degrees (NOT including wind chill). Rather it’s the duration and wide spread scope of this cold weather. 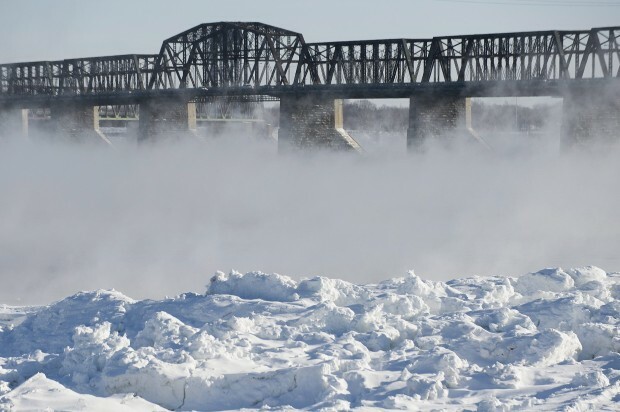 As NPR explains, this is because we are experiencing a polar vortex. Usually a low pressure cell with extremely cold air sits atop the north pole all winter. 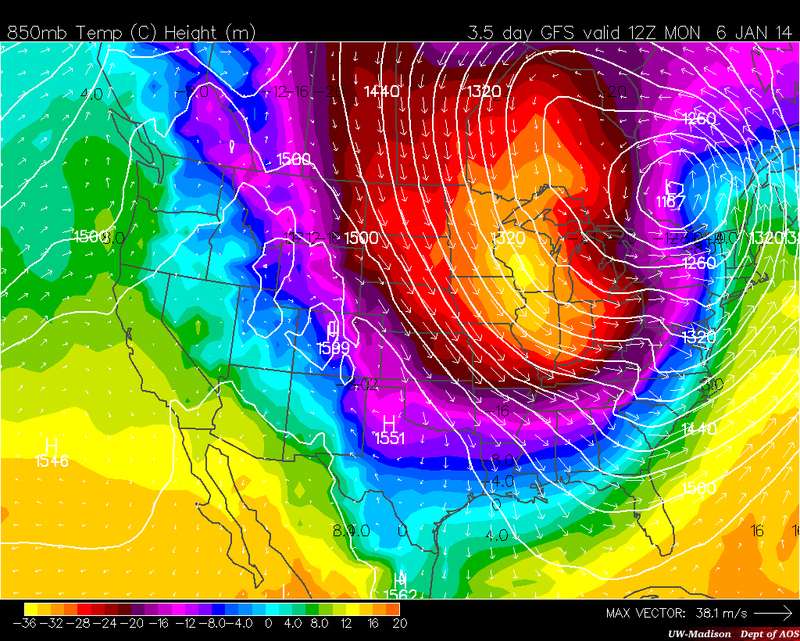 Minnesota will get the occasional minus 40 degree weather because at times bits of it come south. Due to the way continents and climates interact, the coasts stay mild as the middle grows intensely cold. Since moving to Maine I’d many times see my friends back in Minnesota experiencing minus 35 while here we didn’t go below 10 above. That’s still the case. While we’ve been going below zero in the single digits in Maine the temperatures have remained frigid all over the northern plains. The cold here is more intense than usual. The polar vortex comes from a larger piece of that low pressure cell moving south, and bringing with it more cold war than we’re used to. And as Time explains, this could be real evidence of global warming. The reason is that the warm gulf stream has helped keep cold air caged up north, allowing milder air to reign through most of the US. That’s why when I moved from Minnesota to Maine I was moving to a distinctly warmer climate. A lot of Arctic ice has been lost in past decades due to global warming, cooling down the north Atlantic. Think of it like big ice cubes breaking off and melting in warmer water. While with ocean currents and depths it will take awhile, eventually that can cool the ocean enough to impact the jet stream. If that’s what’s happening, it may well be that we’re getting yet another real indicator not only of the reality of global warming (which only a few holdouts deny), but that its impact may be multifaceted in unexpected ways. For us in the Northeastern US (and probably everywhere between Montana and Poland) global warming may mean colder winters. So how is that global warming? When the cold air leaves the polar regions, they warm up. This has been a warm winter in the Arctic, and usually frigid places in Alaska have had mild temperatures. Polar warming seems to defy expectations, but the impact of cooling oceans on the jet streams and climate patterns suggests a hard to predict but likely destabilizing climate change. It could also mean warmer summers, altering the nature of local climates and forcing changes in just about every aspect of life. Few scientists doubt global warming, or that human green house gas production is a major factor causing it – the evidence is overwhelming. A few ideology-driven political types try to deny it, and hopefully karma will give them what they deserve for endangering future generations far more than would be the case if we acted to clean up our energy usage. But the reality is that humans live in denial, and it won’t be until it’s too late to stop the disaster that people realize we were warned and did very little. 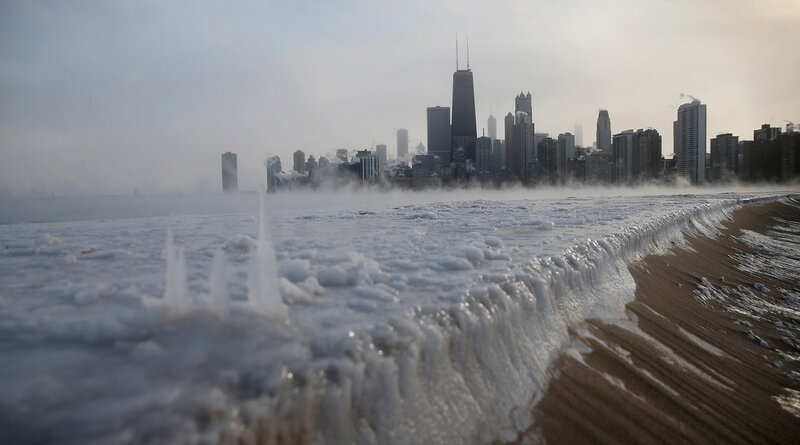 Something like the polar vortex shows that the consequences of global warming may be very unexpected and vary from place to place. But it’s here – and expect the headlines to get more dramatic and worse in coming years.